Did you know that the Victoria & Albert Museum (amazing place, if you ever have the chance to visit) has an online catalogue of downloadable knitting patterns? As it happens, I've known this for a while, but when my friend Lee asked if I knew, I realised that I've never written about it here before. 1. NEEDLES - Vintage sizing uses imperial measurements and you may need to use a converter, or perhaps you'd prefer to knit on authentic vintage needles. 2. YARN SUBSTITUTION - It is unlikely the yarn used in the pattern will still be available and modern yarns have very different qualities to those used in the patterns. Pre-1950s, 'wool' meant '100% wool'. 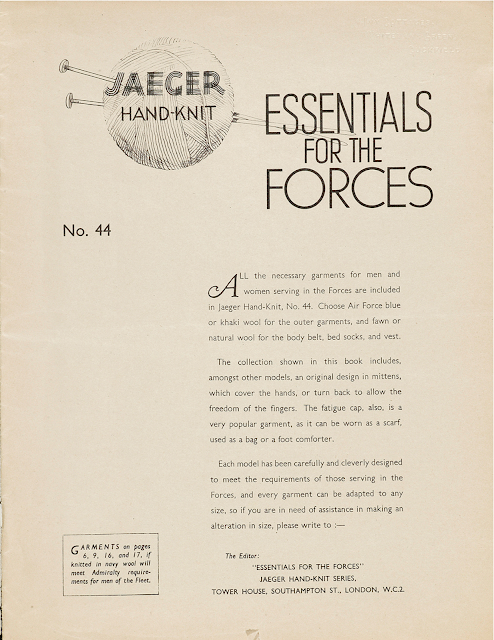 You can find a useful list of vintage yarns and their qualities here. Unless using authentic yarns, it is really important to SWATCH. You will most certainly need to do this to calculate the quantities of yarn required as you won't find grams and meters on these patterns. 3. SIZING - 1940s bodies were significantly different to modern-day bodies and sizing is likely to be radically different - many knitting patterns only give one size (and it's small) and you'll need to work it out from the stated tension (gauge). In this case you may need to resize the pattern yourself. Vintageknits.com have a page of useful sizing information including a comparison chart. Spoiler: it'll tell you to SWATCH! 4. TERMINOLOGY - I saved this one for last as it's the most tricky, in my opinion. 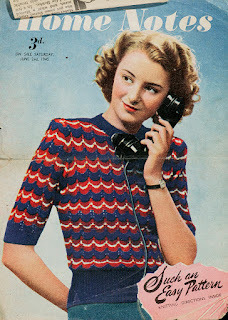 If you have pictures to work from this may be a little easier to work out - if not, you can try this list of vintage knitting terms, or Google - there are various resources available online, mainly on specialist blogs. 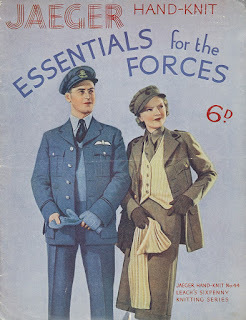 If you're serious about knitting from the patterns, there's also really useful article on Geraldine Warner's blog which goes into a lot more detail on these points and other things you need to consider when knitting from vintage patterns.